The Minister for Foreign Affairs and Trade, Mr Charles Flanagan, T.D., has announced the names of the recipients of the Presidential Distinguished Service Award for the Irish Abroad for 2016. “I am delighted that once again we have the opportunity to recognise some of the finest members of our diaspora for their contribution to Ireland, the Irish community abroad and Ireland’s reputation. In the ever changing world we live in, this remarkable group of individuals have been a constant beacon for Ireland and the values we hold dear. “This year, for the first time Awards will be presented in the category of Science, Technology and Innovation, reflecting both the important place of this sector in our dynamic economy and Ireland’s track record of achievement in this area. Receiving an Award in this category is Garret FitzGerald who, in his role as a globally recognised research physician and scientist, has continued to be an active member of our diaspora and is closely engaged in facilitating scientific endeavour in Ireland. “This year’s Presidential Distinguished Service Award recipients signify the breadth and richness of our diaspora. They include those working with the most marginalised and vulnerable, those who have become the voice for those who have none. The Awards will be presented later this year by President Higgins. The Presidential Distinguished Service Award for the Irish Abroad is neither to be an honours system nor does it confer any legal entitlements upon the recipients. Angela Brady is a Dublin-born architect, TV broadcaster and former President of the Royal Institute of British Architects. She is currently Director of London based Brady Mallalieu Architects. She was made a British Council Ambassador to Vietnam for Innovation and Design and has also worked with the British Council in the Near East. Angela promotes architecture on TV, radio and in publications. She is very active in the Irish community, particularly among the business networks, promoting Irish business and design talent. Ms Brady also made a significant contribution to the success in Britain of the Year of Irish Design 2015. Sir Terry Wogan was a universally-known Irish broadcaster who spent most of his career with the BBC. He passed away in January 2016. Throughout his career, he was a respected and loved representative of the Irish in Britain. The reaction to his death highlighted the significance of his contribution to the community, particularly in the 1970’s and 1980’s. Sir Terry’s rise to the highest ranks of broadcasting in Britain was recognised when he received a knighthood in 2005. Robert Kearns is a key figure within the Irish community in Toronto and has been instrumental in creating the Ireland Park Famine Memorial Park along the quayside in Canada’s largest city. He is now engaged in creation of a new memorial in Toronto, Grasset Park, to commemorate the Canadian medical staff who died administering to the Famine Irish. Mr. Kearns is a successful business man and member of the Global Irish Network. He has assisted a number of Irish firms enter the Canadian market, including providing free office space for one such company. He chaired the Ireland Fund of Canada for six years and helped raise funds for integrated education in Ireland. Gerald Lawless has had a distinguished career in the hospitality sector in the United Arab Emirates, serving as CEO of the Jumeirah Group for 18 years and is a member of the Global Irish Network. This year he was appointed Chairman of the World Trade and Tourism Council. Throughout this time he has played a leading role in the emergence of a strong, vibrant Irish community in Dubai. As a prominent member of the wider Dubai business community Gerald has used his position to advance Irish interests e.g. making it possible to “green” the Burj Al-Arab Hotel. He is currently Vice-President of the Dubai Irish Business Network. The son of Irish emigrants, Norman McClelland, is a businessman and philanthropist based in Phoenix, Arizona. His philanthropic endeavours have spanned the creation of one of the largest urban parks in the world; through sustained support for the St. Mary’s food bank, to whom he gives 80,000 pounds of food per month; and donating the college of management to Arizona State University; to the building of the Phoenix Irish Centre, Library and Genealogical Centre. A member of the Global Irish Network, Mr. McClelland is proud of his Scots Irish heritage, with roots in Newry, and works hard to support an open and accepting Irish identity, inclusive of all the traditions of the island. Nora Higgins was born in Milltown, Co. Galway, and immigrated to Britain in 1955. She trained as a nurse in Edinburgh and Glasgow before coming to London in 1960. Shortly afterwards, Nora become a member of the Management Committee of Southwark Irish Pensioners’ Project in South London and has been involved with this organisation ever since. She is currently Chair of the Southwark Irish Pensioners, one of the largest Irish community organisations in south London. The organisation provides a lunch club and welfare support and outreach to hundreds of vulnerable older Irish people in the area. Ms Higgins has been a tireless campaigner for older Irish people in Britain and spoke about her experiences as an emigrant in the 1950s in a very moving and memorable intervention at the Global Irish Economic Forum in Dublin in 2013. Brendan Fay, a community activist, theologian, filmmaker and public speaker, is Co-Founder of the LGBT group, Lavender and Green Alliance. He was also a founding member of the Irish AIDS Outreach organisation in 1996 which sought to break the silence around AIDS in the Irish community in New York. He has been active on immigration reform (UAFA), civil marriage, AIDS awareness and human rights. Brendan has been an activist for LGBT rights, and in particular Irish LGBT rights, in New York for several decades, forming the inclusive St. Pat’s For All Parade in 1999 as an alternative to the 5th Avenue Parade. Along with Kathleen Walsh D’Arcy, he worked for years to secure the right of Irish gay groups to march in the St. Patrick’s Day Parade in NYC, a right which was finally won in 2016. Kathleen Walsh D’Arcy is Co-Founder of the LGBT group, Lavender and Green Alliance. She is a writer, social worker, community activist and formed the inclusive St. Pat’s For All Parade in 1999 as an alternative to the 5th Avenue Parade. Along with Brendan Fay, she worked for years to secure the right of Irish gay groups to march in the St. Patrick’s Day Parade in NYC, a right which was finally won in 2016. The daughter of 1920s immigrants from Counties Offaly and Tipperary, she co-edited two fiction collections by Irish women writers, Territories of the Voice (1990) and A Green and Mortal Sound (2001). Martín von Hildebrand is an ethnologist and activist for indigenous and environmental rights who has played a key role in protecting the Colombian Amazon from illegal resource exploitation, principally mining, and in ensuring that indigenous communities living in these areas can exercise their legal and constitutional rights to manage their territories. Von Hildebrand was born in the US of an Irish mother and a German father. He studied in UCD in the 1960s, as well as at the Sorbonne and has devoted his life’s work to promoting economic, social and environmental rights in the Colombian Amazon. In the 1990s, he founded the Colombian NGO, Fundación Gaia Amazonas which works to empower indigenous communities in the Amazon to exercise their constitutional rights to protect and manage their own territories, to protect the Amazonian ecosystem and support sustainable livelihoods and food security and sovereignty. Mr Von Hildebrand is now working on a project to connect and protect the interdependent ecosystems of the Andes, Amazon and Atlantic Coast of South America, spanning a number of countries including Colombia, Brazil and Venezuela. Sr. Mary Sweeney has worked tirelessly for over forty years, often with limited support, in the extremely challenging environment that is Sierra Leone. Through her efforts in establishing the St Joseph’s School for the Hearing Impaired in Makeni, she has given education, skills training and life opportunities to the most vulnerable of people; children with a disability in a developing country. Notably, she remained in Makeni to keep the school open during the brutal civil war in the 1990s, and more recently she has played a significant role in coordinating much-needed support for the Ebola response in Makeni. 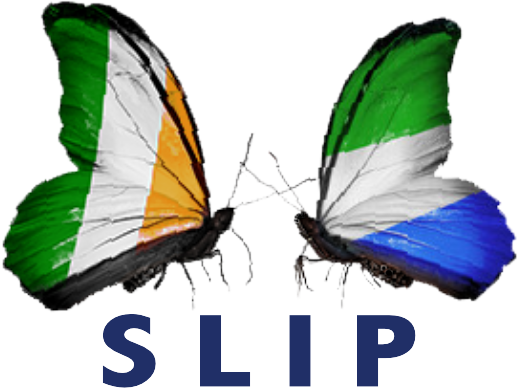 Sr. Sweeney has in recent years widened her ambitions and focussed her energies on promoting the development of a curriculum for the training of teachers for special needs education in Sierra Leone.